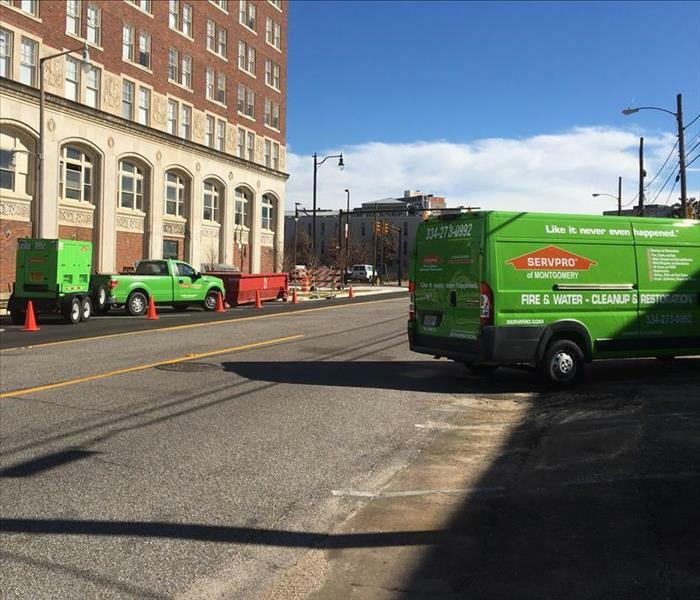 With more than a century of restoration experienced combined between all of our IICRC-certified technicians and staff of the SERVPRO of Montgomery team, we have the expertise and knowledge to handle any facet of restoration, remediation, mitigation, or reconstruction that your commercial or residential property requires. We have a 24/7 support for emergencies that threaten your home or business spanning our entire service area from Arrowhead to Montgomery and from Country Downs to Highland Park. SERVPRO of Montgomery is locally owned and operated—so we’re a part of this community too. We are also part of a national network of over 1,700 Franchises, which enables us to respond quicker with more resources. For major storms and disasters, we can call upon special Disaster Recovery Teams strategically located throughout the country.